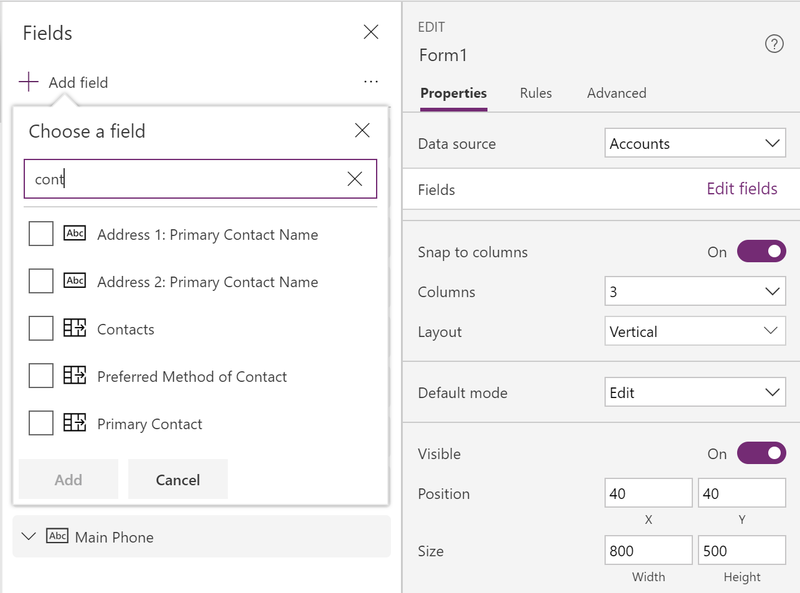 PowerApps authoring using data is getting easier with improved creation and selection of datasources, fields, and connections. The experience has been updated and search was added to help quickly find the right item. 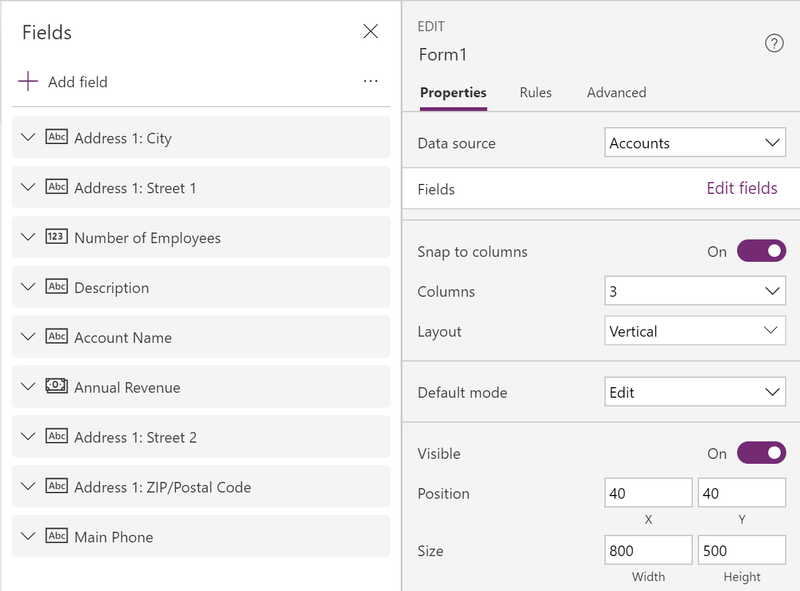 Also more of the data controls can be configured directly in the property pane. This experience is rolling out throughout this week. 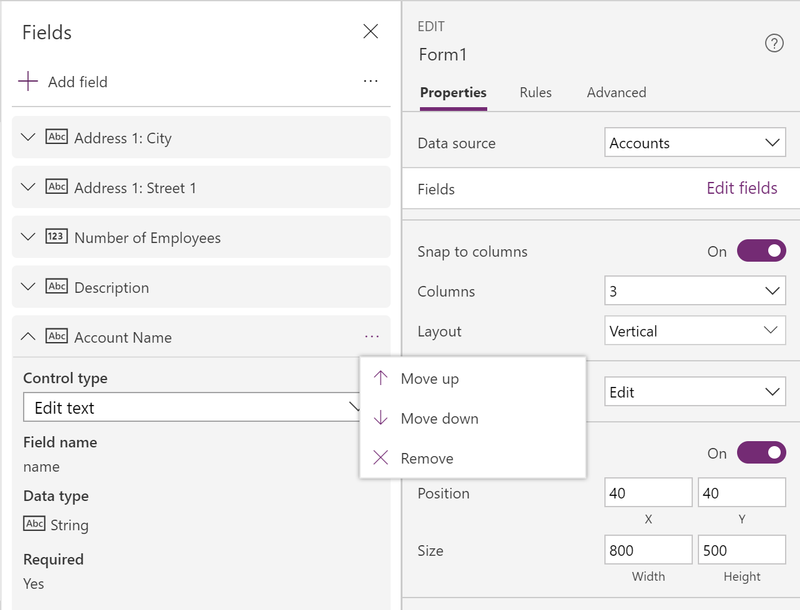 When the list of data sources is opened, you will see visual updates aligning with styling throughout PowerApps Studio. When adding a data source from the Common Data Service (CDS), the updated styling allows for more entities to be listed. 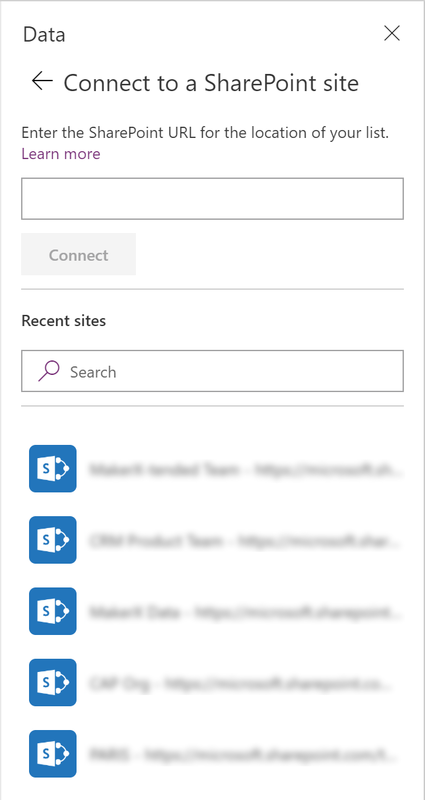 The SharePoint site selection was updated to include a search across the recent sites list. When a Form control is added, the property pane now has the common properties directly editable instead of links to the data panel. 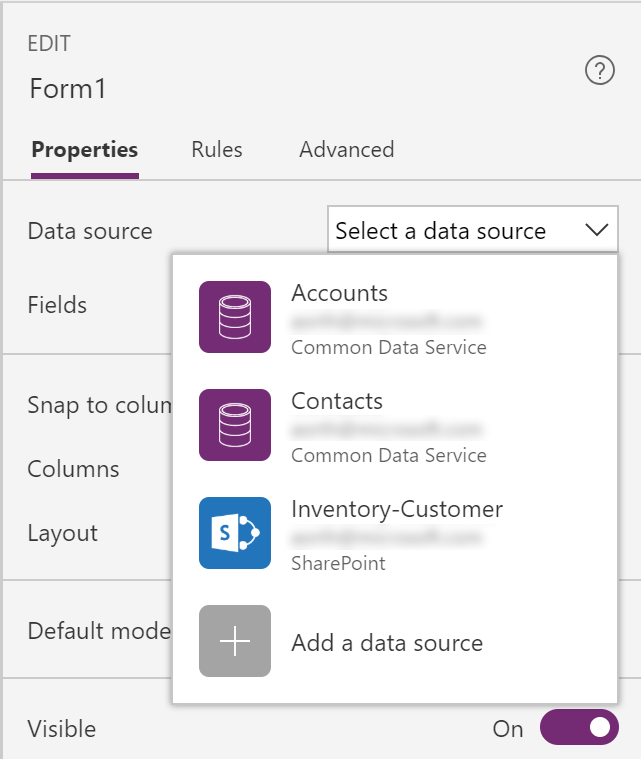 The Data source property with a drop list has replaced the Data link to more quickly select an existing datasource. 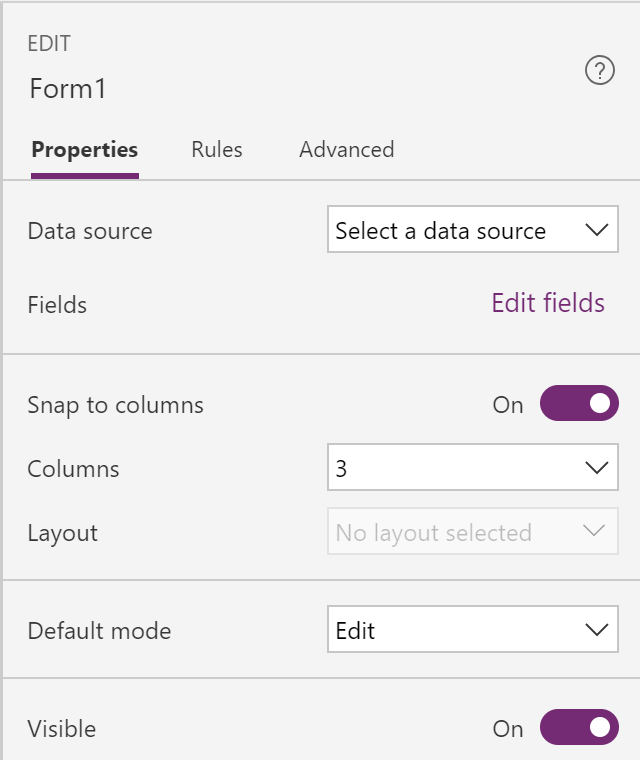 Form layout control for the snap to columns, column count and layout type are also directly editable properties. This enables seeing the configuration without opening the form edit panel. The new Data source property shows the list of current data sources which means fewer clicks to use an existing data source. When clicking Edit fields, the fields list shows more fields since only the selected fields are included. The edit fields panel supports searching and selecting multiple fields to add into the form. Expanding a specific field in the form’s field list allows changing the data card template and seeing the field information. The context menu for each item allows moving the field order or removing fields. 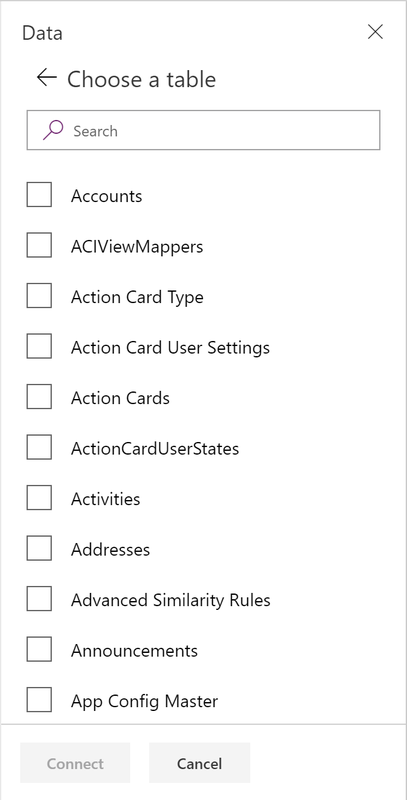 The list also supports drag and drop to re-order fields. 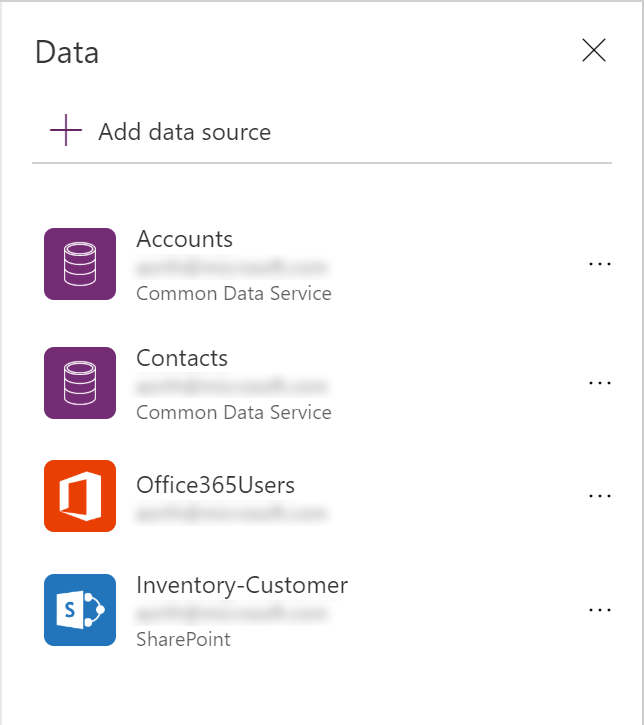 When you need to add a new datasource, your list of existing connections also includes a search. 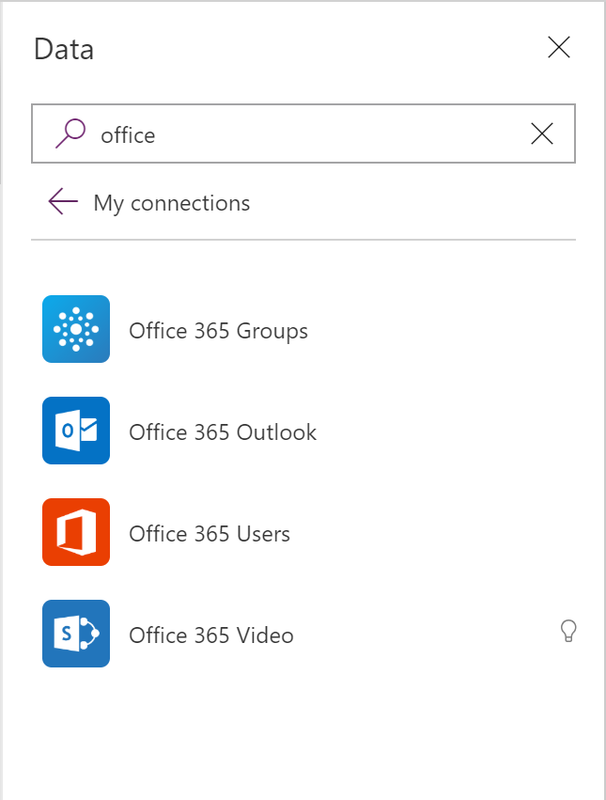 When adding a new connection from the PowerApps Studio, you can now search the long list of connectors to find the right one to use. No more needing to scroll to find the connector. We are continuing to improve the experience configuring data within your canvas apps. 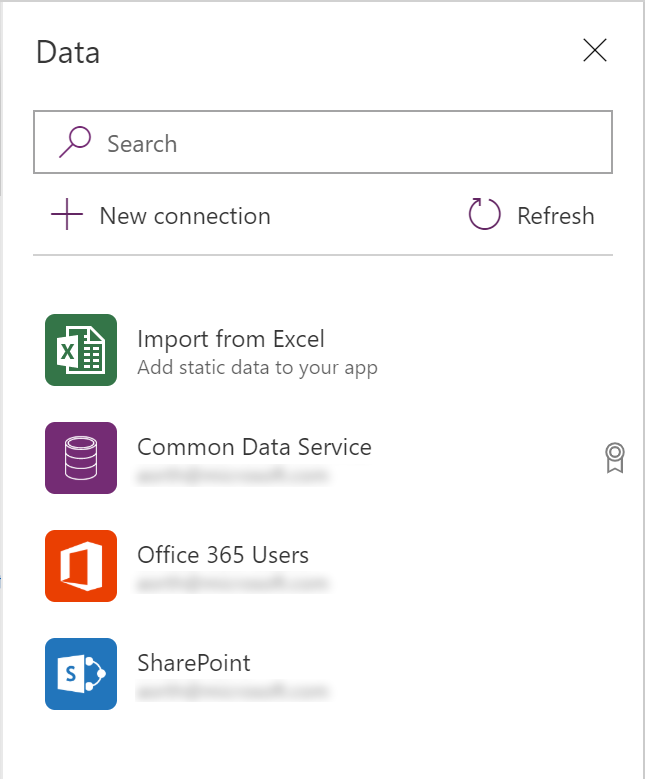 Please keep the feedback coming on how we can make this better with feedback and ideas at PowerApps community.